Curated Kravet, a trade home furnishing company who is nearing their 100 year anniversary has been a leader in their industry for many years. Established in 1918, Kravet distributes fabrics, furniture, wall coverings, trimmings, carpets and accessories. The family’s commitment to innovation has helped the company transform from a small fabric house to a global leader, representing brands and designers from all over the world. Check out their new site. 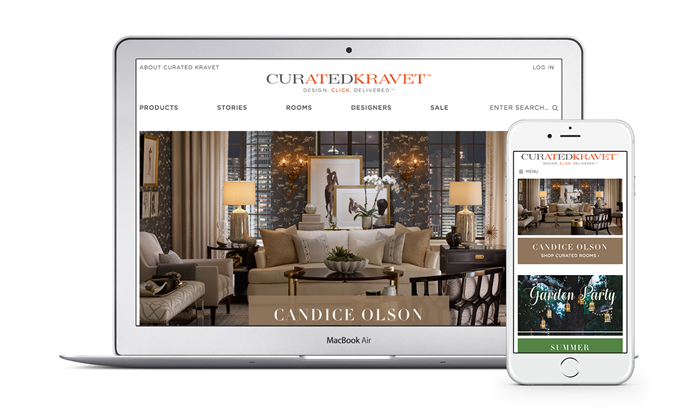 This project called for a complete rebuild of the Kravet online store onto Magento Enterprise Edition 1.14.X. The latest features coupled with a modern and elegant look and feel have created a superior online user-experience for Kravet’s clients and staff. Its new responsive design also makes the site much easier to navigate and browse across all devices.